Mama Manifesto: Are You A Scorekeeping Mom? 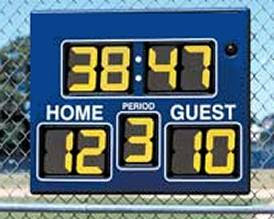 Are You A Scorekeeping Mom? Today I realized I have my own personal how-am-I-measuring-up points system. Apparently, I award myself either positive or negative points, much like the way Albus Dumbledore will award or detract points from the kids at Hogwarts' School. 1. Woke up early, actually before alarm.....10 points. 2. Fed children organic peanut butter, organic yogurt and high fiber toast. Deserve double points, seriously good mother....20 points. 3. Lose patience once in morning routine, one child not listening, one mother without appropriate amounts of caffeine..... - 10 points. 4. Volunteer at kids' "Field Day" celebration. Run gunny sack and three legged race area. Deserve at least........30 points. 5. Remember end of the year teacher cards and gifts. Even remember bus driver...... 20 points. 6. Hear about the incredible scrapbooking/homemade/ creative gifts from other parents and feel guilty.............-20 points. 7. Successfully complete afternoon activity lineup...pick-ups, drop-offs, cleaning out car at end of day......20 points. 8. Cook Costco frozen nuggets for dinner.....-10 points. 9. Compensate for frozen processed meat by making children (amidst serious protests) eat salad and sauteed greens.....10 points. 10. Remember yesterday's 10 mile run and feel guilty that my friend Liz is a better at hills..... -10 points. 11. Realize that I'm a bit obsessive and competitive, basing my value on stupid points. -20 points. OK, this is just lame. I'm always telling my kids, "It's not about winning. It's about how you play the game." Problem is, I really like to win. I like to come out on top. I like the feeling successful self-sufficiency brings. When I end the day with positive points, I feel successful. Only, this feeling doesn't last. When I base my value on this system of black and white success or failure, I always end up losing. I can never perform quite well enough. Stuff inevitably falls through the cracks. I need to start tapping in to the grace God gives me every day. I am valuable because I was created that way. End of story. Nothing I do or don't do adds or detracts from this value. I am definitely a scorekeeping mom. I have a constant tally going in my head. In fact, just reading your post, I saw the part about end-of-the-year cards and panicked that I forgot to do that. Bad mom! Deduct point! It is so hard, as a type-A personality, to avoid getting wrapped up in the scorekeeping. I can definitely relate. It is madness and I want to be proactive in reigning in it! Thanks for sharing your post with us, Jodie!